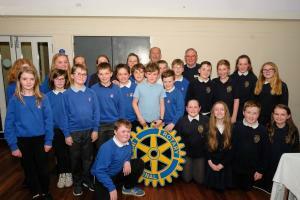 Rotary Club of Haddington - Welcome! To find out more about us and what we do, please scroll down on this pages and use the menu top left, to view our other pages. RYLA candidates sponsored by our club came to speak to members about their experiences of the event. 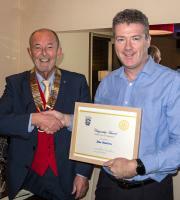 John was presented with his award certificate by President Alan Dunton. Well done John! 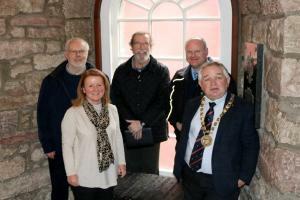 Haddington Rotary Club have launched a Community Chest fund to provide assistance to local clubs & organisations undertaking small projects which benefit the local community. 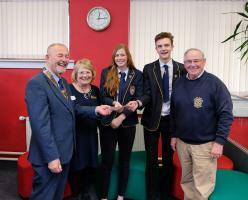 We were delighted to make a donation to Knox Academy Activities Week. This will go towards helping pupils who would otherwise be unable to afford to go, to take part. Based in the historic market town of Haddington and chartered in 1961, we now celebrate 57 years of service to the community. We support our local community as well as local and international organisations where we hope to make a difference. Our Youth programme involves local secondary and primary schools where we encourage them to participate in youth competitions e.g. 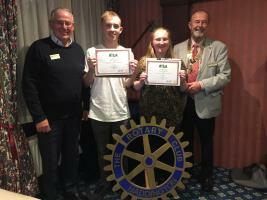 Rotary Youth Leadership Award, Challenge Enterprise, Primary School Quiz Challenge and also in Technology Challenges. While maintaining the traditions of Rotary, we feel that to maintain a vibrant club, it is important to enjoy ourselves while fund-raising and supporting good causes. We hold regular social events, both within normal meetings and other external events where partners and friends are welcome to join us. To find out more about us and what what we do, please scroll down on this page and also use the menu at the top left to view our other pages. 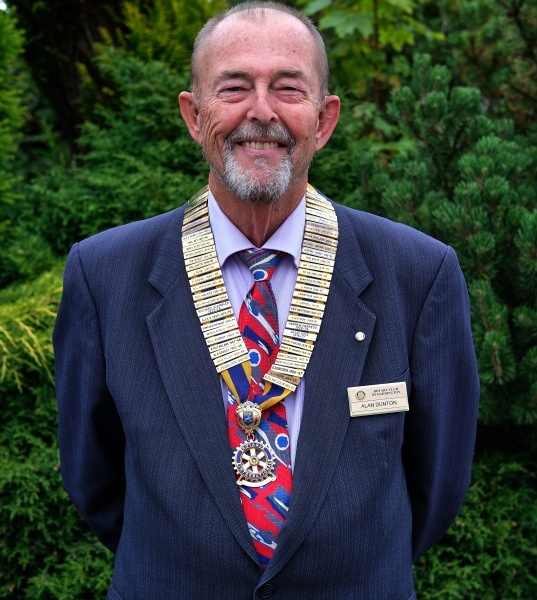 If you think you might like to learn more about Rotary and may be interested in joining us, please use the 'Membership Enquiry' button at the bottom of this the page or get in touch using the 'Contact Us', button at the top of the page. We would love to meet you and you will be most welcome to come along to one of our meetings at the Maitlandfield Hotel.